A lightly peated Irish whiskey! This was distilled by Cooley, before maturation in bourbon and a finishing period in Oloroso sherry casks. 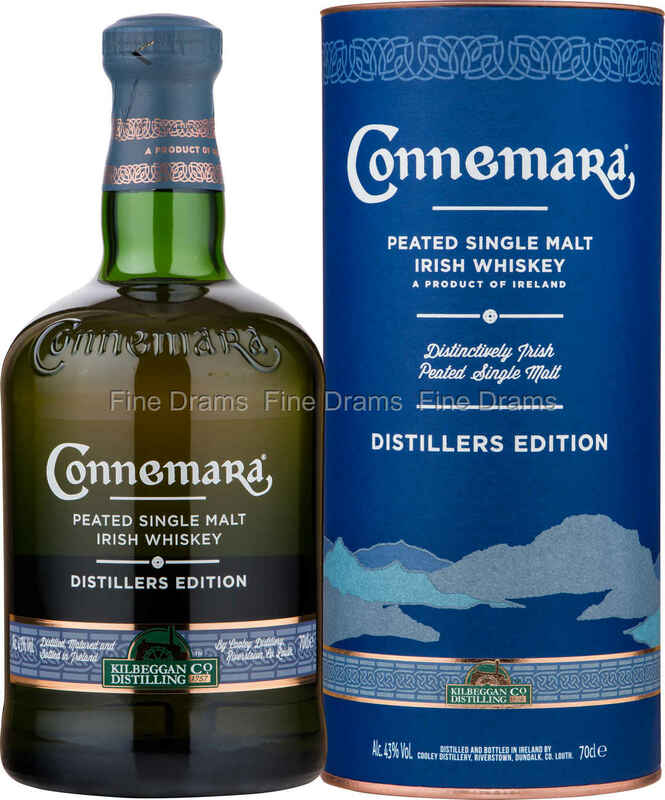 Bottled by Kilbeggan, do not let this confuse you, this is a reference to the company as a whole, rather than the distillery: Connemara Distillers Edition is 100% Cooley spirit. Here the sherry adds a delicious layer of sweetness to the grassy, elegantly peated, Irish whiskey. This whiskey would make an excellent gift for the Islay-lover in your life, or for an Irish whiskey drinker who is looking for something a little different.